Monster truck shows offer a magical experience, with the power to capture attention and mesmerize both children and adults alike. But how many people actually know what types of advanced technologies are used in creating these roughly 10,000-pound beasts? Before transitioning to fiberglass body designs, monster trucks used to be built with steel, which caused the trucks to weigh more than 16,500 pounds. This design change, along with the introduction of over-sized, nitrogen-filled shock absorbers in the suspension systems, are what allowed monster trucks to go from simply driving over old cars to flying through the air at heights of up 30 feet. 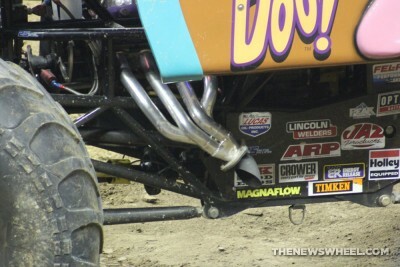 Each truck that performs for Monster Jam features a custom-built, methanol-injected, and supercharged engine good for about 1,500 horsepower. These trucks are capable of reaching speeds of up to 80 mph. Furthermore, the size of the motors allowed in each Monster Jam truck is limited to 575-cubic-inches; a truck can utilize up to 2.5 gallons of fuel in a single run. 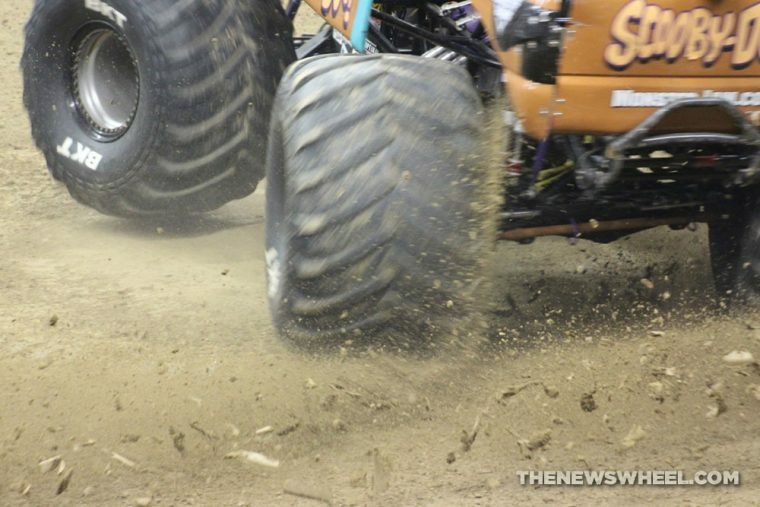 The trucks used in Monster Jam are all 12-feet tall and 12-feet wide. The vehicles need to be that tall just so they can sit on those hand-crafted 66-inch tires. Monster Jam trucks use specially designed tires for a variety of different tracks, and each team goes through approximately eight tires per year. Monster Jam estimates that hand-crafting a single tire can take up to 50 hours of intensive labor. Equipped with twin steering systems and a high impact suspension, just one Monster Jam truck requires more than $600,000 per year to construct, repair, transport, and tour. That’s a lot of money for a vehicle that resembles a very large Hot Wheels toy!